If you’ve entered Ceres via Wolseley and Michell’s Pass, you had the privelage of travelling on a beautiful stretch of road of which the ground work was laid by well-known South African road-building pioneers like Jan Mostert (late-1700’s) and Andrew Geddes-Bain (mid-1800’s). 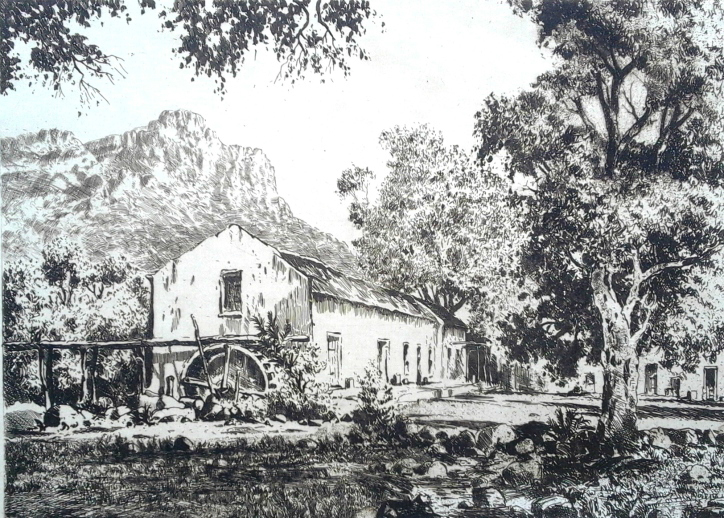 The first access road to Ceres, the old Mostert’s Hoek Pass (1765), was constructed by Jan Mostert, one of the earliest European settlers this side of Tulbagh. The 13km stretch of road was even then still very rugged. Wagons passing through had to be unpacked and dismantled and transported on foot for parts of the way. This road was in use for about 80 years and traces of it can still be seen today. 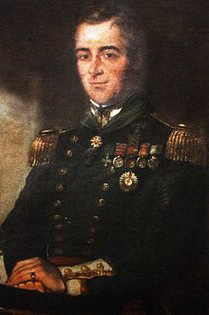 In 1830, Charles Michell (pictured bottom right) surveyed Mostert’s Hoek Pass with the aim of improving access to Ceres. Michell’s Pass was constructed in the place of the Mostert’s Hoek Pass by Andrew Geddes-Bain (pictured bottom left) in 1846, with the assistance of 240 convicts. The new pass followed along the bank of the Breede River, all the way to the Warm Bokkeveld. The pass reduced the travel time from Cape Town to Beaufort West from 20 to 12 days, and also made it possible to do the route by horse-drawn vehicle. It was during World War II that the road was widened and re-surfaced. It withstood the effects of the 1969 earthquake that hit the Tulbagh-Wolseley-Ceres area and destroyed most of the buildings in these towns. The road was rebuilt between 1988 & 1992. The valley of Ceres, the Koue Bokkeveld and the open plains of the Tanqua Karoo were first inhabited by the San and Khoi, thousands of years ago. The San rock painting sites in the area are some of the best preserved in the country. The first Europeans crossed the Witzenberg Range from the Tulbagh Valley in 1729 and established stock farms in the Bokkeveld. 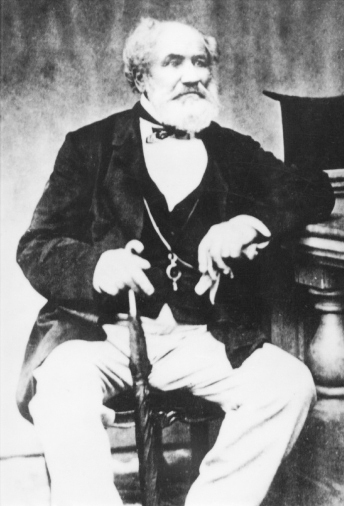 The first plots in Ceres were sold a year after Bains and his team finished Michell’s Pass. The road through Ceres became the main route to the north when diamonds were discovered in Kimberley in the late 1800’s. Diamond magnate Barney Barnato frequented the town regularly en route to the diamond fields up north. Today the route is known as the ‘Forgotten Highway’ and is fast developing as a popular tourist attraction. It played a crucial part in not only the development of Ceres, but also many a town between here and Kimberly. Today three restaurants owned by former newspaper editors and journalists Reint & Karien Grobler proudly line this beautiful stretch of road with its rich road-building heritage. The couple opened the Tolhuis Bistro (in Michell’s Pass) in 2009 and three years later acquired Winterberg Mountain Inn and Harvest Table Bistro (formerly known as Mill & Oaks). In January 2016 they opened capish!, an Italian-style restaurant with hand-made pasta and wood-fired pizzas. 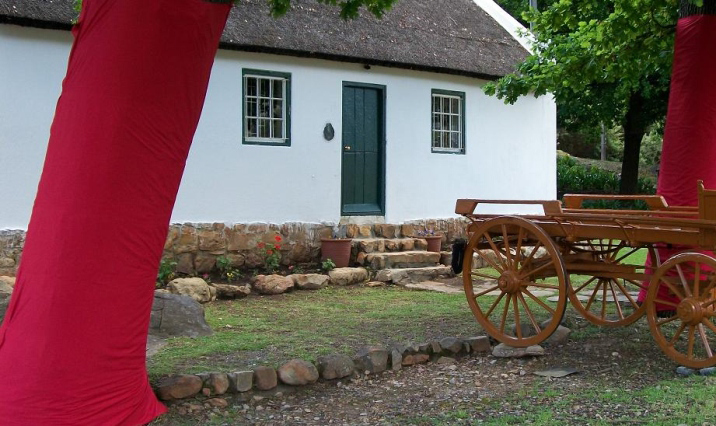 Winterberg Mountain Inn with its Harvest Table Bistro (between Ceres and Wolseley at the start of Michell’s Pass), stands proud on the original foundation of a wheat mill known as the Ceres Mill (see copy of etch by 19th century artists Thinus de Jongh). The mill was believed to have been built by the first European settlers in the late-1700’s. The milling stone of this so called “bakkiesmeul” can still be seen in the inn’s garden and the mill’s cog work has been preserved partially and can be seen inside the bistro. Tolhuis Bistro serves more traditional dishes, but with a quirky twist and is situated to the back of the old toll house, a national monument. The toll house used to be the pay point for travellers. The original building was damaged in the earthquake of 1969, but was later restored to its original glory. And if you are lucky, you might encounter the ghost of a young Victorian lady that the Tolhuis team lovingly named Nellie.